There will be a day in the not-too-distant future that your doctor will call you to let you know that you are not feeling well. Eric Schmidt, Executive Chairman of Google, mentioned this possibility last week at the 92nd Street Y, when he was telling the audience all of the things Google was working on. He didn’t say this was going to be a Google-only project, but he did indicate that his company was researching the sensor part of it. Schmidt said that we will all be taking digital pills with indicators and markers. 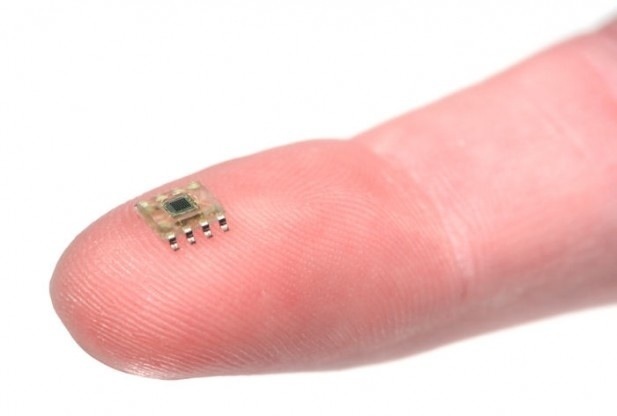 The pill sensors will be monitored by your doctor on an automated alarm system. If your blood pressure goes up, one beep. If your sugar levels are rising, two beeps. If you’re having a heart attack, three beeps. If your private parts are not working, the doctor sends life support. While a lot of what Schmidt had to say seemed like science fiction, I believed every word if it. Just when I thought I’ve heard it all, he told us other mind-blowing stuff that was also reported in the NY Times. This is a real mindblower. Google began testing the self-driving cars in 2009 along side engineer Sebastian Thrun, who had previously worked on the technology with the Stanford University faculty. Google co-founders Larry Page and Sergey Brin are cheerleading Thrun to perfect the technology. Yes, the cars drive themselves with the aid of lasers, cameras, and other gear. Schmidt revealed that Google’s autonomous cars have already racked up more than 100,000 miles on the road. General Motors and Toyota are working closely with Google to hasten the development of the technology. 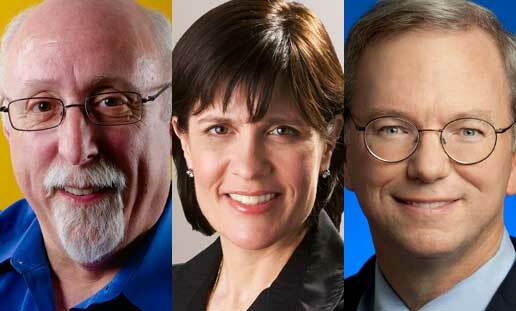 Walt Mossberg, Kara Swisher and Eric Schmidt. I was waiting for this night for a long time. Three of the most famous names in the digital world were on stage at the 92nd St Y in NYC, one of the most respected institutions for lectures, talks, and entertainment in the United States. Eric Schmidt is Executive Chairman of Google. Walt Mossberg is the author and creator of the weekly Personal Technology column in The Wall Street Journal. Kara Swisher started covering digital issues for The Wall Street Journal’s San Francisco bureau in 1997. Most of the presentation focused on what Schmidt calls “The Gang Of Four,” Google, Amazon, Apple and Facebook. He said the future really will be about what Facebook does the best, gather personal information from users and their contacts. This will be a valuable growth area and each company will integrate this into their own formats. From the NY Times–Carter starts his work day with yogurt, fruit and cereal. All men are not created equal when it comes to getting a story in the New York Times. A perfect example is the Internet story that appeared in the Monday, October 8th, edition about Art.sy, an online start up that just went live this week. Art.sy is a free repository of fine art images and an art appreciation guide. The reason why this company was profiled, is because of its pedigree. The investors read like a Who’s Who in the world of art, Internet, and finance. The father of the 25-year old founder, Carter Cleveland, is an art writer and his mother is a financier. Both were cleverly not identified. Investors are gallerist Larry Gagosian, art-world figure Dasha Zhukova, Rupert Murdoch’s wife Wendi, Eric Schmidt of Google, and Jack Dorsey of Twitter. John Elderfield, the former chief curator of painting and sculpture at the Museum of Modern Art, is an adviser. Now you can accuse me of being cynical and jealous, but I’ve been around long enough to know that a three-day old company does not get profiled in the NY Times, much less a sizeable story. This was a clear case of connections, connections, connections. I have been repeatedly told by the Times that they only write about tech companies that attract record breaking crowds or have proven to be financially successful. Which category does this fit into? What is so glaring is the caption below Carter Cleveland’s picture. “Carter starts his work day with yogurt, fruit and cereal.” Who wrote this story, his fairy godmother? In all honesty, I love art and I think a company like this is something I would frequent. However, I must say there have been other companies like it and similar ones still exist. Anyone who has been in the business as long as I have knows that the chances for a company like Art.sy to make it, is going to take a lot of money, more than any of these deep pockets will be willing to part with. The worse thing that mom and dad could have done for little Carter was helping him get this story planted. He is now going to believe his own PR and will not be able to tough it out against the street kids of the Internet who are prepared to sweat. Still, I wish Art.sy the best of luck. I truly do.